SUPERMAN is pretty much the most extreme Super Hero working today: over-sized strength, mega speed, and pretty much at the top of his class when it comes to flying. It makes sense that the steel adventure bearing his name and famous logo would be just as extreme. Welcome to the world of the hypercoaster. This style of roller coaster is so intense they had to come up with a whole new category for it. Hypercoasters are the modern breed of oversized roller coaster that are pumped up to more than 200 feet tall. 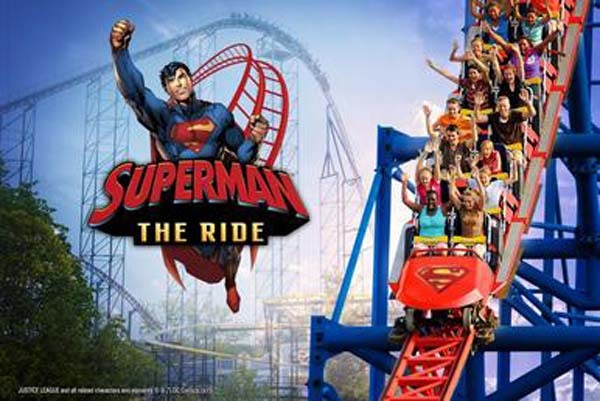 SUPERMAN The Ride easily clears that distinction, with a height of 208 feet and a mind-blowing 221 foot drop. 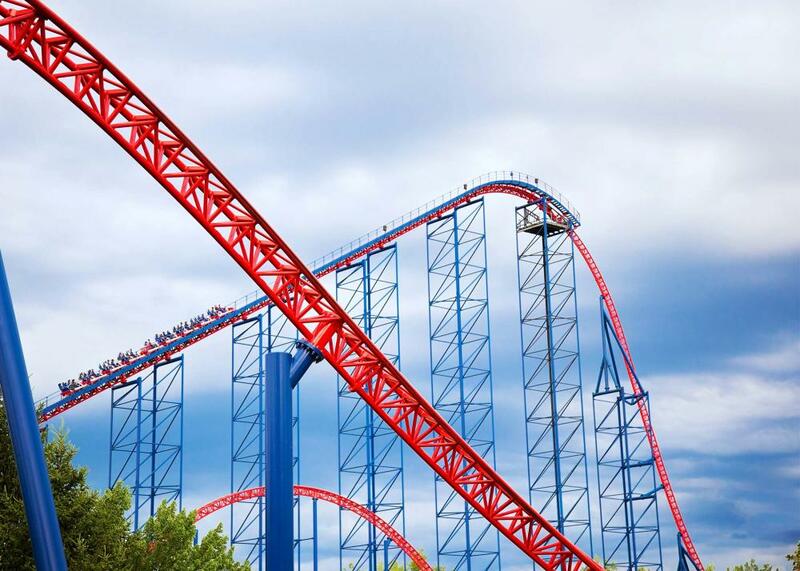 At a whopping 77 miles per hour, you will zoom through a staggering 5,400 feet of twisting red track that will truly give you a sense of the superhuman. You did bring your cape, right?